The stipulated price, launch date and specs of Xiaomi Mi 5X are here!! Xiaomi Mi 5X is expected to be released on 20th December 2017, and as per the sources, it will be priced at Rs. 14,990 only. Xiaomi Mi 5X was unveiled in China in the last week of July. And now, it will hopefully be launched on 20th December 2017 in India too. The smartphone will have an AMOLED display of 5.5 inches with a full HD resolution of 441ppi. Its weight is 175gms and the metal body adds more style to its appearance. The phone will be available in your 3 favorite colors namely black, rose gold and gold. So, just pick the one that suits your personality the most. Xiaomi MIUI 9 was recently announced in China, and it has introduced many optimizations for making it user-friendly. You can download its stock wallpapers along with the wallpapers of Xiaomi Mi 5X. The upcoming flagship device of Xiaomi offers many connectivity alternatives to its users. Some of them are Bluetooth, Wi-Fi, 2G, 3G, 4G, USB Type-C, and GPS. The smartphone will have a Tru Octa Core processor that clocks at 2 GHz along with a Snapdragon 625 chipset. Its RAM is fixed at 4GB and one can store data up to 64GB in it. In case, you wish to expand the storage memory till 128GB, you can do so by adding a microSD card. It is accompanied with an operating system named Nougat Android v7.1. The smartphone bears dual cameras of 12MP each at the back, and with the front camera of 5MP, one can capture amazing selfies in the very first take. It also provides 1080p video recording facility in Full HD mode. Xiaomi Mi 5X has a battery life of 3080mAh, but we wish if it could have been more powerful than this. Also, its non-removal can be a turn-off for many users. 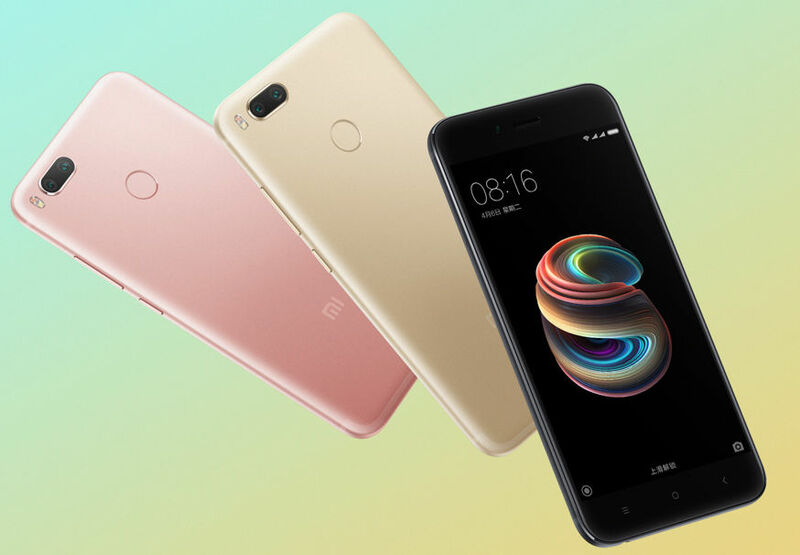 Seeing all the beautiful specs and price of Xiaomi Mi 5X and ignoring its drawback of the non-removable battery, we hope that the smartphone won’t cost you a bomb and the users can enjoy several smart features present in it. Gadget Garrio is a blog that caters the latest in the world of technology like apps and gadgets, especially in Smartphones and tablets. GG also brings in news about all the developments in the tech world. We are constantly striving to give you the best and looking to expand. We promise to bring to you as much as we can to be best of our ability and knowledge.